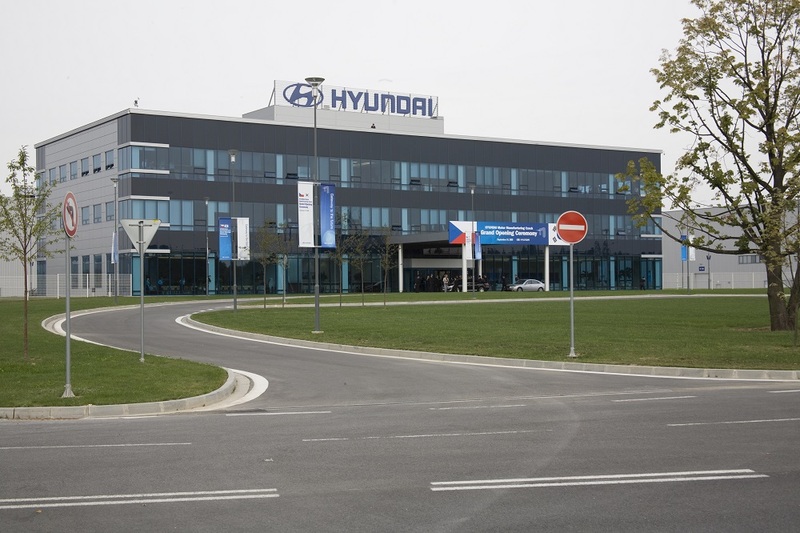 Czech institutes and schools offer South Korea primarily knowledge in lasers, nanosciences, mechanical engineering and, of course, the automotive industry, which is the driving force of both countries’ economies. It is quite probable that you have in your home at least some electronics – mobile telephone, television or computer – made in South Korea. Brands such as Samsung and LG Electronics are global trendsetters, as are Korean carmakers Hyundai and KIA Motors. It is no accident that South Korea ranks among the most significant investors in the Czech Republic and that it is seeking collaborators and interesting ideas in the area of innovation in natural-science and technical fields. Korea is an attractive partner. With the sole exception of Israel, there is no other country on Earth that has invested such a large part of its GDP in science and research and development. If we look at the most recent graphs, South Korea is exceptional among the wealthiest OECD countries. In 2016, the South Koreans spent a remarkable 4.227 percent of GDP on research, exceeded only by Israel with 4.251 percent. The next two countries with the highest research expenditures were Sweden and Japan, with 3.255 percent and 3.144 percent, respectively. The good news for Czech-Korean collaboration is long-term growth in science funding in the Czech Republic, which reached 1.9% in 2016. In the area of collaboration, the most important sectors include the automotive industry (similarly as in the case of Japan, which we examined in one of the previous instalments of our series), production of manmade materials and metals, high-tech manufacturing, IT and software development. Joint activities in research involve these areas as well as physics and biomedical sciences. The mechanical-engineering faculties at the Czech Technical University in Prague and Brno University of Technology are well-established partners for technical fields. “Collaboration between the Czech Republic and South Korea is of fundamental importance for us,” said Petr Očko, chairman of the Technology Agency of the Czech Republic, a government organisation that supports ties between firms and researchers, at a meeting last year with partners of the South Korean Ministry of Industry and the Korean Institute for Advancement of Technology. There is shared interest in, for example, automation of production in the form of smart factories – i.e. Industry 4.0. The state has six projects with a pioneering international focus in the Delta grant programme with a three-year implementation period. In May this year, CzechInvest conducted a technology mission to South Korea focused on robotics in Industry 4.0, in the course of which representatives of Czech innovative firms, universities and research institutions met with a number of their counterparts from leading Korean institutions in order to exchange findings about trends in that field. Evidence of the Czechs interest in more intensive collaboration was provided by the visit to South Korean undertaken last year by Eva Zažímalová, chairwoman of the Academy of Sciences of the Czech Republic. “Koreans excel primarily in innovation and introduction of research results into practice. Conversely, we are good at basic and initial applied research. In that respect, we can complement each other,” said Professor Zažímalová, who visited the Korean Electronics Technology Institute in Seongnam during her trip. “Collaboration is taking shape there in the areas of informatics, communication technologies, nanotechnologies and new materials, as well as in research, development and use of lasers,” added Zažímalová, head of the biggest Czech science institution with more than fifty specialised institutes focusing on basic blue-sky research. The academy gained recognition in the latest edition of the Nature Index ranking, which assesses excellent contributions in selected natural-sciences journals. In the “governmental institutions” category, the Academy of Sciences of the Czech Republic received 86.84 points and thus jumped to nineteenth place in the global ranking. Overall – among all institutions and universities – the Czech Academy of Sciences placed 160th in the world. The highest-ranking South Korean institute was Seoul National University in 64th place with 164.41 points. The nearby elite KAIST research institute accumulated 151.79 point, thus taking 73rd place in the global ranking. This institute of advanced sciences is on the radar for Czech-Korean partnership. Many partnerships have already been established. For example, the most cited scientist living long-term in the Czech Republic, physical chemist Pavel Hobza, has served as a “World Class University Professor” at Pohang University of Science and Technology. 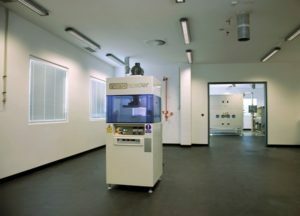 Ties to Korean colleagues are also being cultivated at the Regional Centre of Advanced Technologies and Materials in Olomouc, which is the highest-performing in terms of science among 48 new Czech centres, as it excels in studies of nanomagnets and improved graphene and has its own patents. 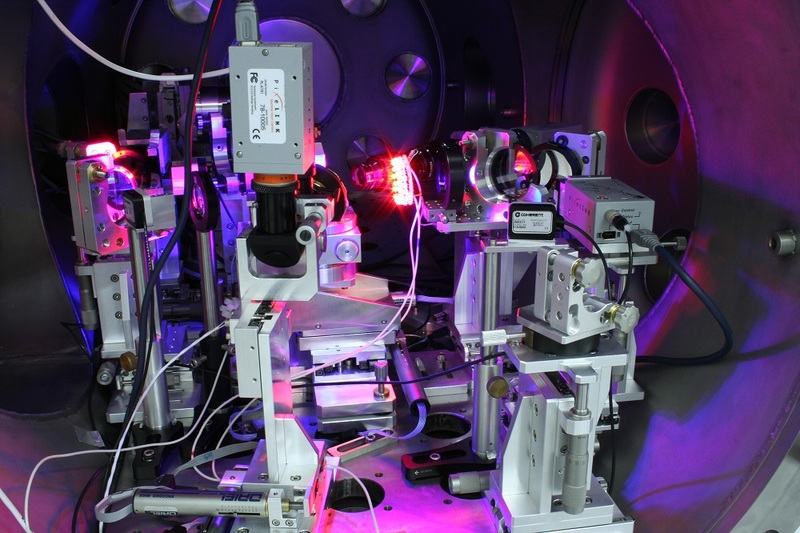 The new HiLASE laser centre in Dolní Břežany near Prague, which is part of the Institute of Physics of the Academy of Sciences, also has contacts with Korean scientists and firms. 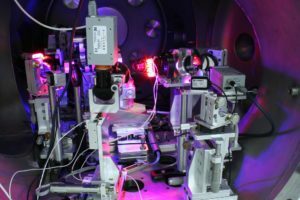 In July this year, experts from the influential Korea Institute of Machinery and Material (KIMM) flew to the Czech Republic to see the centre’s most powerful laser, Bivoj, in order to determine the possibilities of joint development of top-level laser technologies and their use in industry. The visit from KIMM related to the technology mission conducted by CzechInvest in 2016 with focus on optoelectronics and lasers. That may have been of interest to Korean firms, whereas “Czech missions” previously drew the attention of Asian journalists, who wrote articles about the potential development of medical lasers for microsurgery with the Korean Electronics Technology Institute. The International Clinical Research Centre (ICRC) in Brno, which was established at a cost of several billion Czech korunas, also intends to establish intercontinental ties in, for example, neurology and brain research. The ICRC’s director, Gorazd Stokin, has been in contact with representatives of the Korea Brain Research Institute in recent years. “It would be a pleasure for us to collaborate with our Korean colleagues on problems connected with aging, such as dementia and stroke, as medical research in Korea is very good on the global scale,” said Stokin. His words were given weight at the institute by the then prime minister of the Czech Republic, Bohuslav Sobotka, who observed the signing of a bilateral agreement between the institutions. Chemist František Švec of the Charles University Faculty of Pharmacy in Hradec Králové has tens of thousands of citations to his name. Švec specialises in separation methods for chemical and biomedical samples, specifically chromatography. From 2013 to 2017, he was a visiting professor at both a university in Beijing and at the elite Gwangju Institute of Science and Technology in South Korea. “That was quite a way from California,” Professor Švec laughingly said in an interview with Lidové noviny, as he had long lived and worked in Berkeley. Even though Koreans excel especially in ICT development and electronics, smart technologies and digital translators will not replace warm human relations. A specialised Korean studies programme has been offered in the Czech Republic for more than half a century at the Charles University Faculty of Arts. “The programme’s good reputation is evidenced by the close cooperation between Czech Koreanists and the AKSE international Korean-studies organisation in Europe and systematic support from the governmental Korea Research Foundation and the Korea Foundation. Interest from the South Korean embassy in Prague enables cooperation in gaining funding to equip classrooms and libraries, as well as for assisting students with finding employment after graduation,” the department’s website explains. Thanks to cooperation with the governmental foundations, Czech Koreanists receive outstanding instructors, who are selected and paid by the Korean side. “The study programme is supported not only from the Czech side, but also from the Korean side, which wants to ensure that there are in our environment educated students who will be able to communicate effectively with Korean partners while also having knowledge of their customs and culture,” linguists say. That is definitely valued by scientists and high-tech firms.